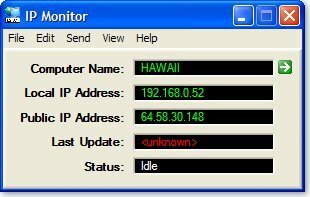 IP Monitor displays a computer's name and IP address in a window. If notification features are turned on, when the IP address changes, it can be sent to an email address and/or an FTP server to notify of the changes. 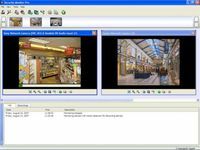 This is useful for computers that have dynamically assigned IP addresses, but need to be accessed remotely. Full SMTP email and FTP support to send notification of changes.